Qatar, on the northeast coast of the Arabian Peninsula in western Asia, offers some intriguing opportunities for international students. In addition to a pair of Qatari universities, the country is home to a dozen foreign-based institutions of higher education. Qatar is a monarchy, it lacks public transportation, the roads can become impassable, and drinking-water quality varies. However, the postsecondary schools where international students live are modern, often state-of-the-art, facilities. English is the second language in this country, which eases the transition for students from other lands. An entry visa, which cost only $25 at last report, must be obtained upon arrival at the airport in the city of Doha. A visa may be purchased in advance by contacting the Qatari embassy in London or Washington, D.C. Foreign students also must secure Qatar residence permits, for which universities provide information and assistance. The largest institution based in the country, Qatar University, offers undergraduate and graduate degrees. It provides an Arabic program for non-native speakers. The school’s website states that its International Student Section “supports the growth, progress, and success of (foreign students), and aims to ease their transition to a new school, new home, and new country.” Students receive help with personal, financial, immigration, and housing issues. The university awards scholarships to undergraduates from certain countries, as well as “short scholarships” to non-native speakers enrolled in the Arabic program. The other Qatar-based post-secondary institution, Hamad bin Khalifa University, opened in 2013. It is a research school with colleges of science, engineering, technology, humanities and social sciences, public health, and business. Universities based in the United States, Canada, the United Kingdom, France, and other nations operate campuses in Qatar. One of the largest, with more than 4,600 students, is Canada’s College of North Atlantic. Its areas of study are health sciences, information technology, engineering technology, and business studies. Carnegie Mellon University in Qatar offers the same degree programs as those at the institution’s home campus in Pittsburgh, Penn. HEC Paris, which the Financial Times ranked No. 1 for executive education, has a business school in Qatar that teaches management courses in English. Stenden University Qatar is one of the institution’s five campuses around the world. It provides bachelor’s, master’s, and certificate programs in applied sciences. 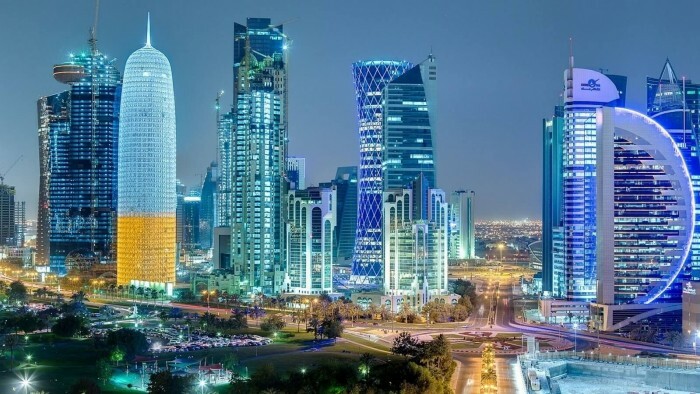 Other foreign institutions offering postsecondary education in Qatar are the Georgetown University School of Foreign Service, Northwestern University, Texas A&M, Virginia Commonwealth University, Weill Cornell Medical College, University College London, and the University of Calgary. The Academic Bridge Programme provides pre-university instruction for high school graduates from the region. Students from more than 30 countries have graduated from the institution. The foundation has been instrumental in drawing foreign universities to Qatar. It seeks to teach young people science and technology skills, so they can develop their homelands into more modern nations. Another objective is to establish Qatar as a research and development center. According to a recent report, international students from more than 90 nations were enrolled in higher-education programs in Qatar. They made up about half of the combined enrollment, with the rest consisting of Qatari natives. The weather is nice during the academic year, with January highs in the 70s. During the mid-summer months, the mercury regularly climbs to 106 degrees or beyond. Qatar’s climate is extremely arid, with less than 2 inches of annual average precipitation. Students can take trips to ocean beaches for some sun and sand; head for desert areas to camp, bike, or “dune bash”; and visit attractions like art museums, mosques, and other examples of Islamic architecture. Attending a university in Qatar exposes international students to wide ethnic and cultural diversity. The knowledge and lessons they learn from this experience may broaden their perspectives and serve them well in future endeavors. Many international students who choose to study at institutions of higher education in the United Arab Emirates attend universities in the emirate of Sharjah. The schools, within an area called University City, are near the cosmopolitan city of Dubai. Sharjah, which has been called the country’s “cultural capital,” borders the emirate of Dubai on the Arabian Peninsula. The UAE, a federation of seven emirates, boasts a vibrant economy due to the region’s rich reserves of oil and natural gas. Once a tiny town where residents survived by fishing and diving for pearls, the city of Sharjah has grown into a metropolis of nearly a million people. Studying abroad in Sharjah affords opportunities to explore a foreign land and learn about myriad cultures. The universities’ students and faculty are extremely diverse, representing nations around the world. Courses are taught in English, which is considered the second language in the UAE. 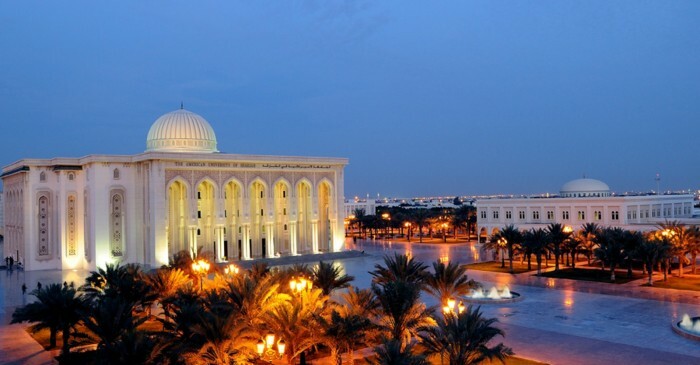 One of the emirate’s larger and more popular institutions for international students is the American University of Sharjah. Founded in 1997 by the nation’s ruler, it is “based upon American institutions of higher education” and “thoroughly grounded in Arab culture,” according to the school’s website. It enrolled 5,400 students (4,700 of whom were undergraduates) in 2013. They represented 82 countries. Another institution in University City has a similar name. The University of Sharjah enrolled 12,448 students (7,994 men and 4,454 women) during the 2013-14 academic year. Among them were 1,168 students from non-Arab nations. The school is widely recognized for its medical campus, which features a hospital, dental clinic, and medical research facilities. Seventy-five bachelor’s and master’s programs, as well as five doctorate degrees, are available. Colleges, arranged in “domain clusters,” include those dedicated to medicine, health sciences, dental medicine, pharmacology, engineering and science, fine arts and design, and communication and journalism. Other programs are arts, humanities, and social sciences; business, management, and finance; and Shariah and Islamic studies. The university has educational program agreements with the United States, Canada, England, Japan, and Australia. The faculty consists of educators from numerous nations. International students are encouraged to form and join national clubs, which represent their cultures at the annual UOS Global Day. Established in 1990 by the emirate’s ruler, Skyline University College educates and trains students seeking careers in a number of fields. It offers undergraduate degrees in business administration, tourism and travel management, information systems, international business, marketing, and finance. Areas of emphasis in the school’s master of business administration program include marketing, finance, human-resource management, and strategic management and leadership. SUC officials reportedly plan to add a doctorate in business administration. The university “features state-of-the-art academic and administrative blocks, a sports center, an adequately furnished library, and computer labs,” according to its website. Articulation agreements with colleges in the United States, England, Canada, and several other countries are in place. Khalifa University of Science, Technology, and Research is an independent, nonprofit, coeducational school based in the UAE emirate of Abu Dhabi. Its campus in Sharjah, like the others, is focused on preparing students for careers in science. The enrollment at KUSTAR-Sharjah is about 1,300. The university grew out of the Etisalat College of Engineering, founded in 1989, which had its main campus in Sharjah. The purpose of the school was to educate and train technological employees for the Emirates Communications Corp. By 2012, students on KUSTAR’s campus in Sharjah reflected cultures from many lands. Faculty and staff represented more than 40 countries. The school provides nine types of undergraduate engineering degrees, as well as five postgraduate programs in the College of Engineering and at the university’s Institute of International & Civil Security. Recently added doctorate specializations concern mechanical, aerospace, nuclear, biomedical engineering, and robotics disciplines. KUSTAR has formed international academic and research partnerships with institutions in the United States and elsewhere. Sharjah is home to two of the 17 institutions which make up the Higher Colleges of Technology in the UAE. At last report, 2,188 women and 763 men were studying and living on separate campuses in University City. About 300 staff members represent more than 25 nations. Established in 1988, HCT educated more than 18,000 students on its campuses throughout the UAE in 2013. Degrees are rewarded in business, education, engineering technology, computer and information science, applied communications, and health sciences. HCT has formal alliances with educational and training institutions, and corporate partnerships with area and international firms. Other institutions of higher education in the emirate of Sharjah include the Westford School of Management, the Manchester Management Training facility, the Sharjah Police Academy, the Judicial Studies and Training Institute, the Sharjah Institute of Technology, and the Institute of Nursing. Since its establishment in 1997, University City has become one of the leading educational centers in the Middle East. The site is a 25-minute drive from Dubai International Airport, and 15 minutes from Sharjah International Airport. Bus service is available. Universities in Sharjah that receive international students facilitate applications for the visas and residency permits the government requires. Visas purchased at airports in Dubai and Sharjah expire in two months, after which residency permits are necessary. The first step is to be accepted by one of the schools, which impose varying admission requirements. Students must possess valid passports to travel to the UAE, and typically have to demonstrate the financial ability to pay for their education.